Well, here we go! It’s the first episode of PCC, Sustain Me! 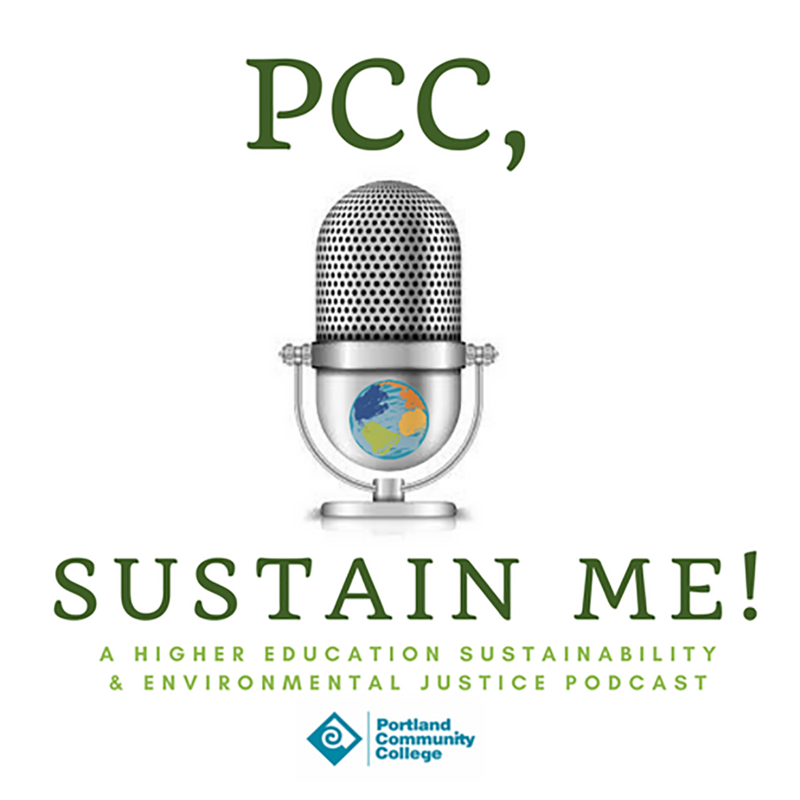 A Higher Education Sustainability & Environmental Justice Podcast from Portland Community College. This edition focuses on and highlights the 2018 Washington Oregon Higher Education Sustainability Conference (WOHESC) that was held at Portland State University from February 6-8. This years conference really worked on addressing equity and diversity in higher education sustainability so it was a prime launching off point for this program. The show is hosted by Joe Culhane and features interviews from Joe Abraham from Willamette University, Steph Fregosi from Chemeketa Community College, Brandon Trelstad from Oregon State University, and Jesse Nichols from Portland State University (and co-owner of Stone Boat Farms!) There’s also information shared from the Columbia River Inter-Tribal Fish Commission about Celilo Falls, a shout out to Adelante Mujeres, and of course Portland Community College and their Sustainability Department as well. Also of note, the intro and outro music are by the very talented Rachel Robinson. Be on the lookout for a follow up episode for WOHESC 2019 which will be held February 25-27 at the University of Washington in Seattle. But before that happens, there will also be episodes focusing on the work being done at PCC and also the upcoming AASHE conference in Pittsburg from October 2-5. We’re excited this show has officially launched! Intersections of Sustainability: 2019 Washington Oregon Higher Education Sustainability Conference Recap, 2019 GPSEN Sustainability Symposium to be hosted at PCC Cascade 3/8/19, Episode #12 ~ It’s Election Day! Get Your Vote On! And Learn About the Portland Clean Energy Initiative from Jenny Lee!